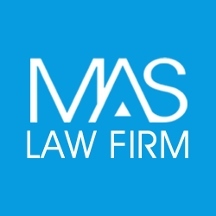 About Us Modjarrad | Abusaad | Said is a result-oriented law firm offering a full range of legal services to individuals, businesses and professionals operating across Texas and throughout the nation. 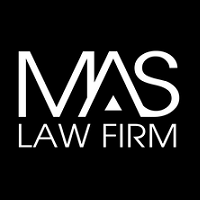 Our firm focuses on business and corporate law, civil litigation, personal injury, family law, immigration, Social Security and disability, probate and estate planning, and criminal defense. Our ultimate goal is to deliver outstanding results for each of our clients in the most efficient and cost-effective manner possible. A COMMITMENT TO OUR CLIENTS The legal team at Modjarrad | Abusaad | Said was built on a shared passion to diligently and compassionately serve each client through every step of the legal process. The industry-leading attorneys at Modjarrad | Abusaad | Said are committed to keeping our clients informed of all important developments in their case. We are proud of the strong reputation we have built for consistently delivering exceptional client service while providing outstanding results. A TEAM YOU CAN COUNT ON Modjarrad | Abusaad | Said has grown from 1 attorney in 2000 to more than 19 attorneys. Throughout the 15-year growth path of our firm, we have focused on establishing a firm of exceptional partners, shareholders, associates, and paralegals who work tirelessly with one purpose: achieving the best results for our clients. Our firm prides itself on the diverse backgrounds and experiences of our legal professionals. This depth of experience and breadth of knowledge gives our attorneys a sharp understanding of the challenges and complexities our clients face. Exceptional client service requires complete understanding of a client’s goals and customizing a legal strategy to exceed those goals. Modjarrad | Abusaad | Said was built on that understanding. 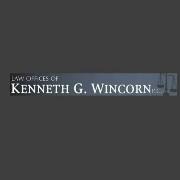 212 W Spring Valley Road, Richardson, TX 75081 LAW OFFICES OF KENNETH G. WINCORN, P.C.